This interview is addressed to someone very talented, hardworking, intelligent, disciplined, joyful and spontaneous, is a girl of only thirteen years of age, Danitza Vazquez Maccarini is the youngest Woman International Master in the world, has a norm of Woman Grand Master, which makes history not only for chess in Puerto Rico, but also for chess worldwide. This small, dynamic and extrovert, also won a scholarship for Webster University of $52,000. 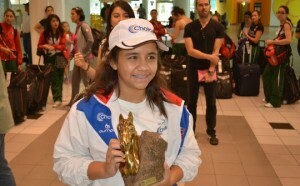 Danitza employs her time in different activities in addition to chess, like music, mathematics, volleyball and swimming. Her early foray into the world of the 64 squares and the joint effort from her family, her coaches and herself are the cause of her success! Danitza Vásquez was born on April 25, 2000 in the city of Caguas, Puerto Rico and nobody thought that starting the 21st century the first Woman International Master of this beautiful country would be born. How many years have you been playing chess? Danitza: I’ve been practicing this sport for 6 years, I started at age 7.
Who is currently your trainer and who have the merit of having trained you throughout your career? This year I have been training with Spanish IM Renier Castellano, but since I started to play I have had advice from famous coaches such as GM Alonso Zapata, IM/WGM Martha Fierro, Angelo Mendez, IA Rafael Ortiz, IM Juan Santa, IM Alejandro Montalvo. What players you admire worldwide? I love Judith Polgar, Susan Polgár, Magnus Carlsen and Fabiano Caruana. How do you plan your day, so you have time for all the activities in which you are involved? Plan my time is one of the countless things that I owe to chess. At 7:00 AM I have to be in classes in the CIMATEC school, is a school of science, math and technology until 4:00 in the afternoon, then I return to my house to eat to have powers, because the day is beginning. Then I do my school assignments and when I’m finished I begin to study chess all the time that I can. There is no doubt that you are a very intelligent girl, how is your performance at CIMATEC? My qualifications are excellent! I am also part of 4 clubs in my school: music, mathematics, butterfly garden and of course chess! 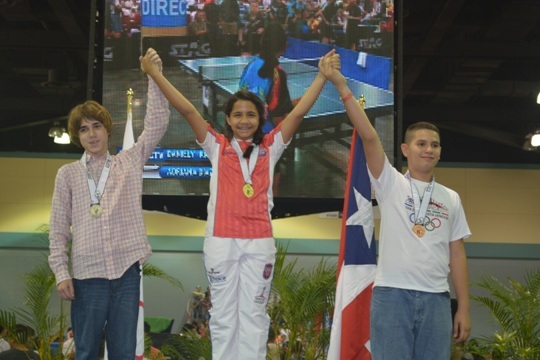 Since you started out in the game of chess you have been successful in all tournaments that you participate, what factors have made the difference to be the only Woman International Master of Puerto Rico? Since childhood I have worked hard to develop my memory, I have focused my study on tactics and endgames. I try to always see my opponent’s threats, and could ensure that this is the center of my game. On the other hand I try to always play in higher category tournaments. I’ve played tournaments under 18, being sub 12, because I believe that if you demand more of yourself the results will be better. What has been your best experience in chess? Every experience is a treasure. 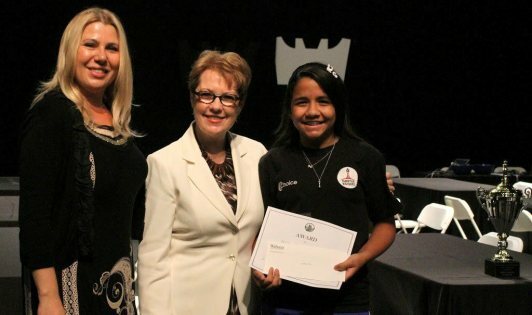 The summer of this year I had the opportunity to attend the SPF Girls Invitational which is a chess camp organized by Susan Polgar where I had quality training and I applied many of the tips that I learned at the Camp in the Central American and Caribbean Championship! How were you received in your country after knowing that you had achieved your goal, you won the Central American and the Caribbean Championship in El Salvador, and you became the youngest Woman International Master in the world? My family was happy, all were at the airport to welcome me , but my big surprise was to find at my arrival many TV cameras and journalists wanting to interview me, I’ll never forget that moment. Your next goal “WGM”, how long do you think you can become a Woman Gran Master and what are your plans to achieve it? I can’t say how long it will take me to achieve it, but I’m going to work hard to keep being the pride of my country. At the moment I plan on attending this year the World Champioships by age in Dubai, in 2014 to the Central American and Caribbean Sub 20 in Costa Rica, where I can reach another WGM norm and the Olympiad in Norway. 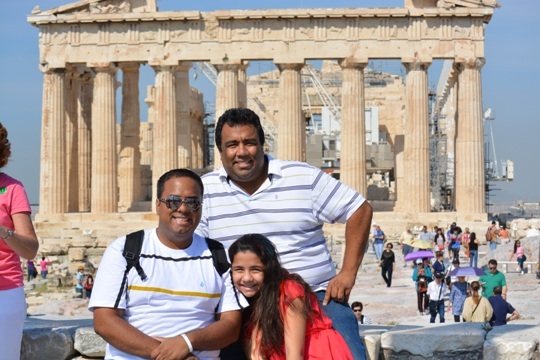 Congratulations to Danitza and her family for this great success! Danitza becomes, at an early stage of her career, the example to be followed by many young chess players who daily are determined to appear in the international chess scene. We recognize that her success is the effort of her beautiful family demonstrating the importance of family union to form children who are calm, secure of themselves and with set of goals to fulfill. Danitza emphasized the importance of family support, her dad Miguel Vazquez and her uncle Angel Vazquez had to learn how to play chess in order to be of help with her training, they have spent the same amount of hours at the chess board as Danitza in order to understand and support the child in a better way.